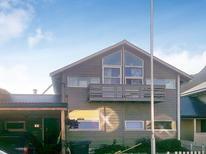 The archipelago of Lofoten with around 80 smaller and larger islands is particularly a popular holiday destination for anglers. 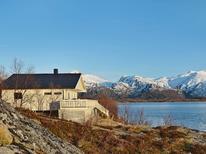 But the Lofoten have much more to offer guests than just fish. Take in the unique magical light and colour formations of these Norwegian islands which have provided inspiration to many artists and photographers. 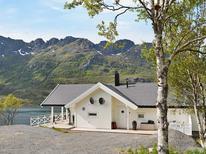 Placed well above the Arctic Circle, the many spectacular islands that make up Lofoten in northern Norway are truly fascinating locations for holiday rentals and holiday apartments. 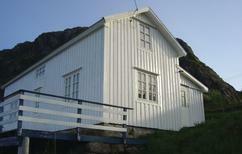 The charm of holiday houses in Lofoten comes from the intense natural beauty and tranquility of its small fishing villages and well-preserved Norwegian culture. The Gulf Stream keeps the temperatures much warmer than visitors might expect when they book holidays homes in the Arctic Circle. Most visitors are attracted to this pristine region for the impressive landscapes of steep mountains and emerald forests, where cozy cottages and holiday rentals are located. Scenic roads take you from mainland Nordland in northern Norway up into the archipelago, which can be navigated by picturesque ferry routes and boat services. 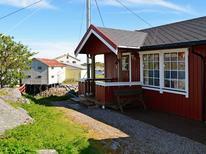 Rent a holiday home during the summer to see a few days of the midnight sunshine, which is admired by many visitors. Just before the new year, the sun barely rises in late December, providing a perfect opportunity to see the Northern Lights, Aurora Borealis, while staying in holiday homes. 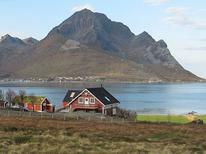 Lofoten is gaining a reputation as a beautiful destination for holiday rentals in beautiful landscapes with trekking and mountain biking opportunities, as well as for its pristine beaches and fjords that soak up the long hours of sunlight during the warm summer months. Utakleiv Beach, in the province of Vestvågøy, was named the most romantic beach in Europe and many beaches nearby are favorites among the locals. 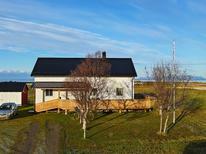 The coastline is dotted with tranquil villages and cottages available as holiday homes. Book world-famous whale watching and fishing opportunities and stay in nearby holiday apartments, while enjoying some of Europe's most untouched natural scenery outside your front door.